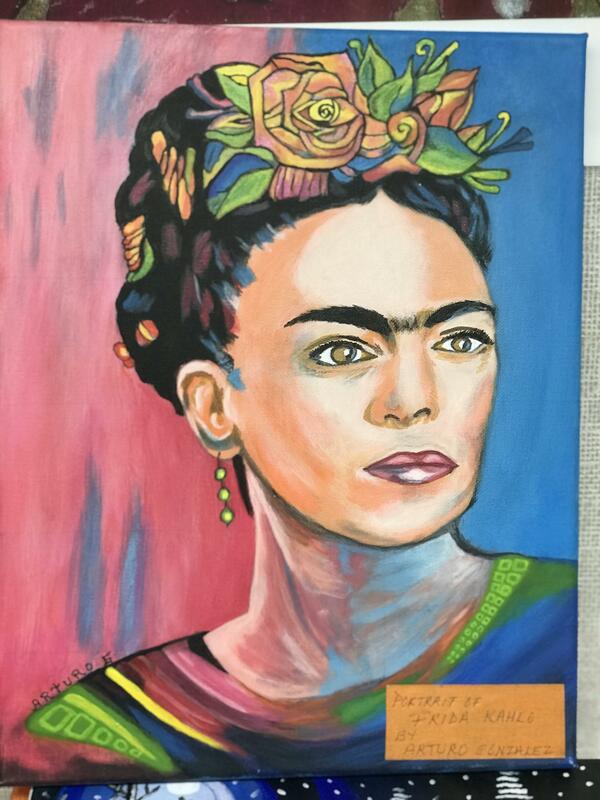 The students of the Valle Lindo School District and the community of South El Monte didn’t have to travel to the Louvre in Paris, France to experience a masterful fine art exhibit. Right in their own city, at their own school, they viewed the amazing artwork created by VLSD parents this year as part of the district’s Parent Education program. The parent education class “Meet the Masters” is led by Parent educator, Josefina Miramontes, and her colleague, Yolanda Del Rio. Together they taught the parents about classic works of art and the great artists who created them. Then the adult students got to create their own masterpieces. They learned about different styles and techniques and worked with a variety of mediums including watercolor, oil, chalk, clay, and paper. The Parent Education Art Class meets each Tuesday morning from 8:30-10:30 a.m. on the campus of New Temple Elementary School. Temple Tigers have enjoyed visiting the class during recess breaks and are excited to see their parents in class at their school. Fourth grader, Yoram Sandoval says, “I wish I had art for homework like my mom does!” Lead instructor, Josefina Miramontes, is so proud of her students, “You know, many of them were afraid to even draw in the beginning. They thought they couldn’t do it. But, together they encouraged each other and look at the results! It’s just so wonderful to be a part of something like this.” The class will return next year to study seven more art masters. The students all vow to return and the instructors are already planning for the fall.